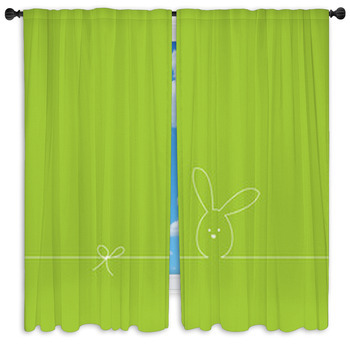 Put a pair of soft brown bunnies at your window, or let just one hop across the wall against a hunter green blur. 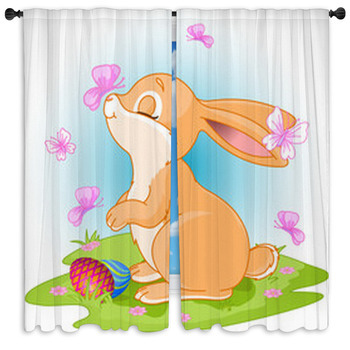 Bring a smile to your little one's face with a dreamy bunny sniffing butterflies in the air. 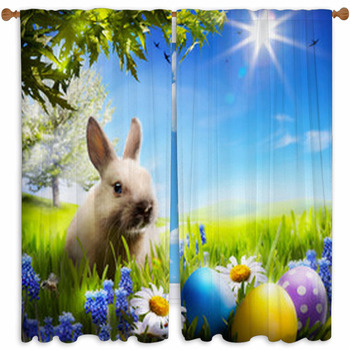 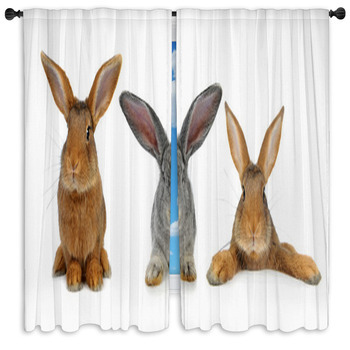 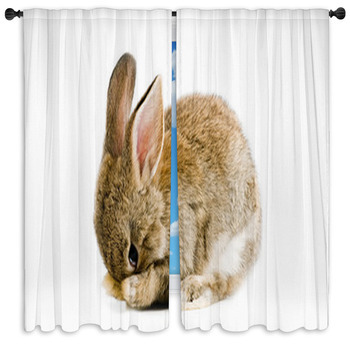 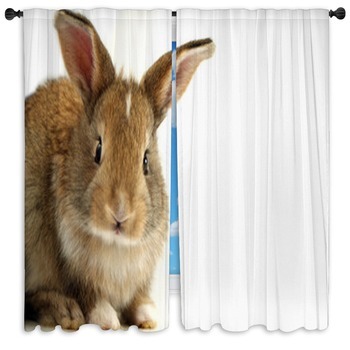 Whether its Bugs among the daisies or the huge ears of anonymous rabbits against pale plaids, these bunnies are ready to let their ears be whipped by the wind and their soft fur ruffled by the breeze in our bunny rabbit window curtains. 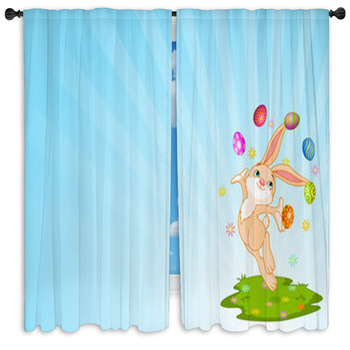 You can decorate your room for the Easter and make your little one hop with joy upon seeing your living room full of bunnies and Easter decor. 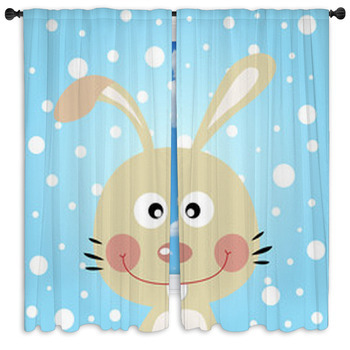 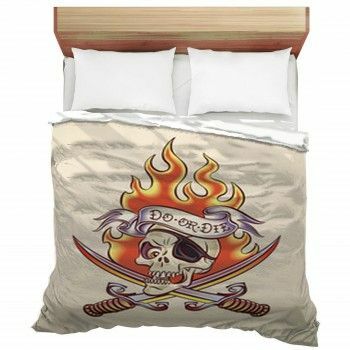 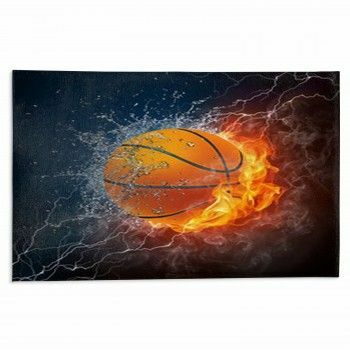 Make him excited by seeing cartoon bunny designs on your throw pillows, welcome your guests with a colorful bunny floor mat and don't be afraid to be a little extra by selecting a window curtain with colored Easter eggs. 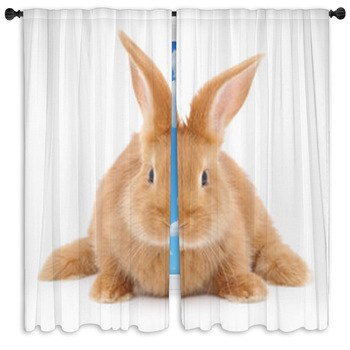 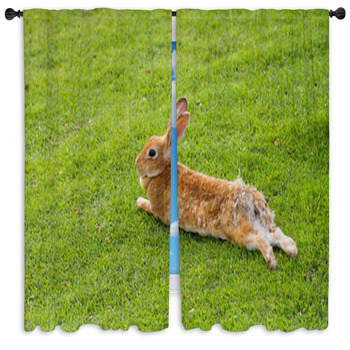 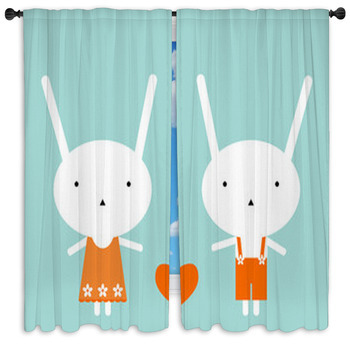 We also offer personalized window curtains if you want us to insert a text or change the background color of one of our bunny curtains.